There is something about rhubarb that I just love. It might be my strong childhood memories of our big rhubarb plant which grew on the side of our garage near the vegetable garden or of my mother making strawberry rhubarb pies…or just the fact that it seems like a very antique fruit which makes me feel connected to my strong New England roots. This past week our local farmers’ market finally had beautiful rhubarb and…at a fraction of the price you see in the market. 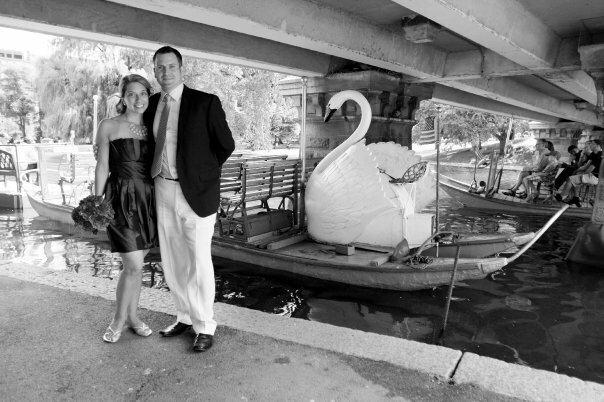 We loved knowing it was grown locally and were really looking forward to creating something beautiful with it. 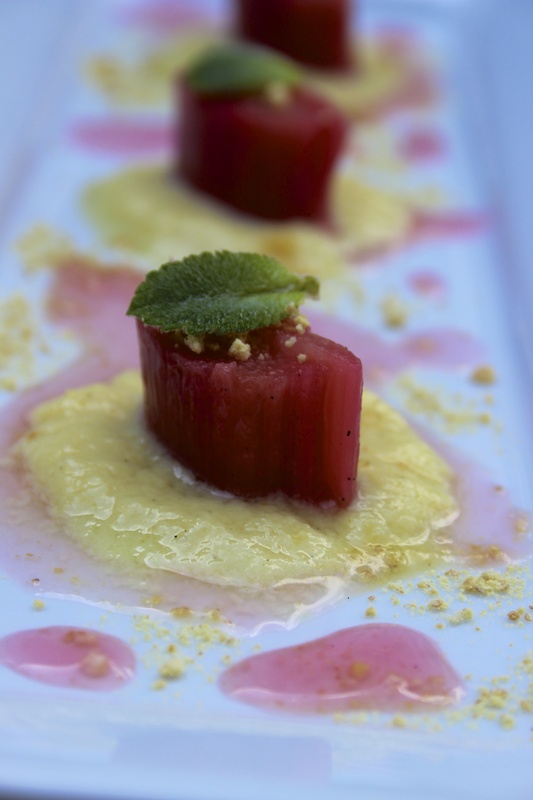 While we were in England last month we noticed that pressed rhubarb was present on nearly every menu we encountered. Spring had come early to the UK and we knew when we got home we would have a while to wait before we could make our own version which is why we were fairly excited to see it this past Tuesday. 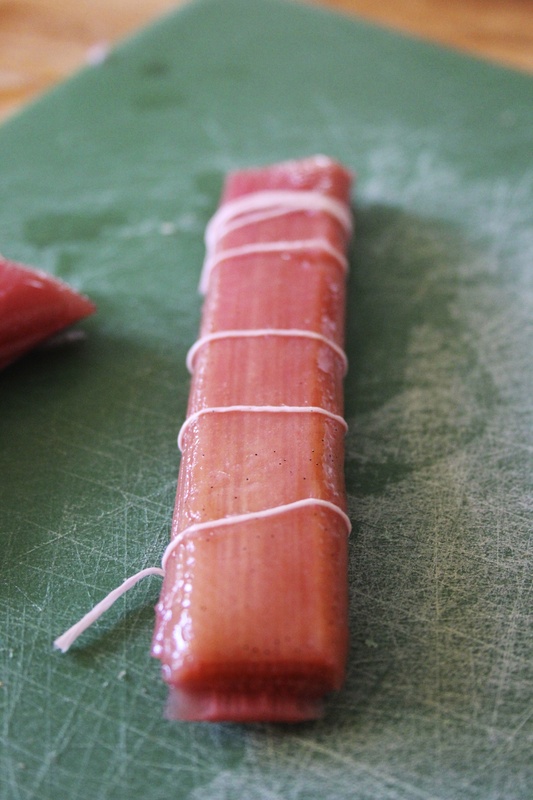 We began by slicing the rhubarb fairly thin on a mandolin and then took the ribbons and covered each piece with a dusting of sugar and a drizzle of vanilla paste. The layers were then stacked back together and tied before being placed in a vacuum bag to be sealed and cooked sous vide at 60 C. for about thirty five minutes. 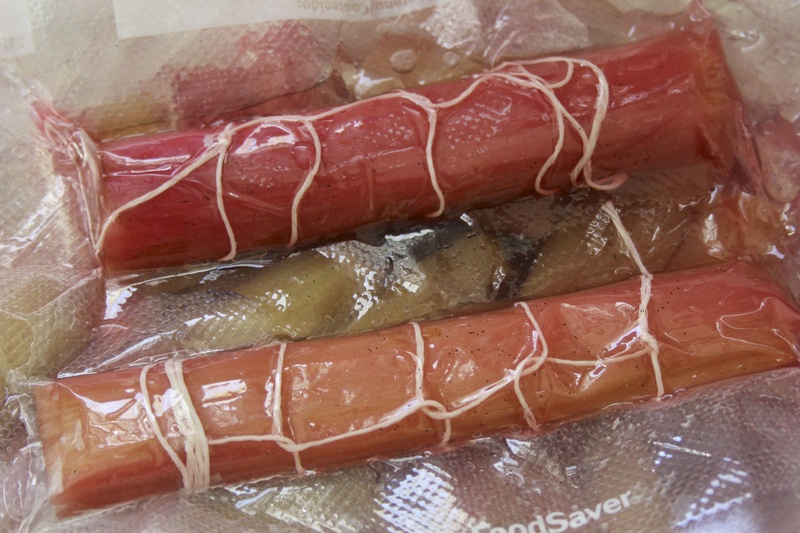 The cooked rhubarb was allowed to cool (while still in its bag) and then removed and placed on a cutting board where the string was removed and the long stalk was cut into half inch chunks. The chunks were carefully arranged on a plate which had three puddles of Sauce Anglaise and then garnished with mint leaves and graham cracker crumbs before the entire thing was drizzled with the rhubarb juice which had been created in the cooking process. The colors were gorgeous and so spring like. The flavor of this was really fresh and bright. We loved the taste of the mint leaves against the fruit and found that the graham cracker crumbs added a much needed little pop of texture. This was so easy to make and presents beautifully. 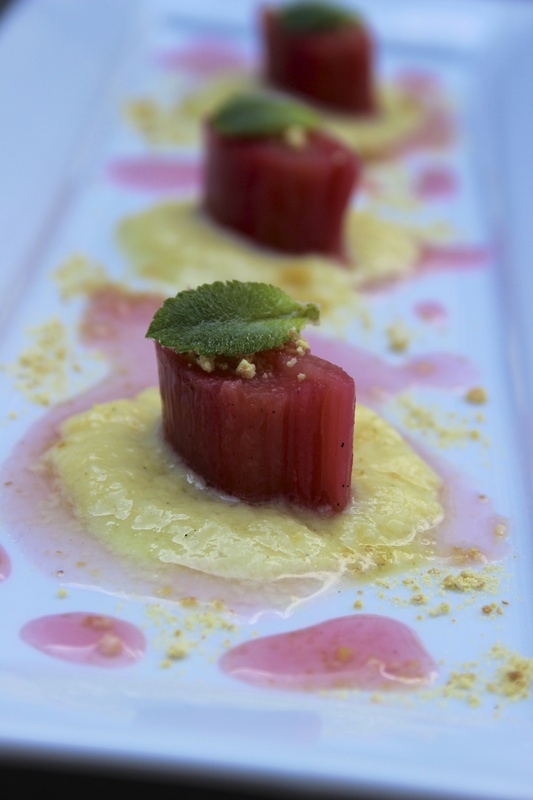 While we chose to use modern cooking techniques, we found the dessert to still have that antique quality that we love about rhubarb.